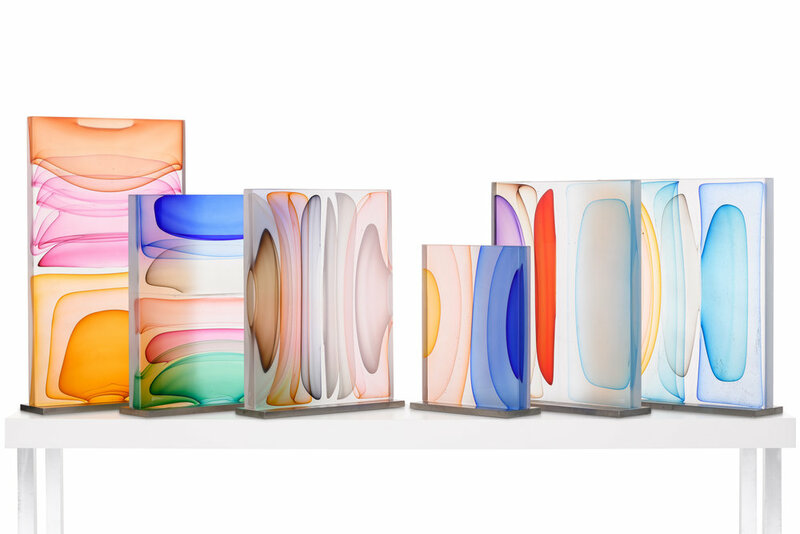 Jamie Harris is a glass artist and designer living in New York City. 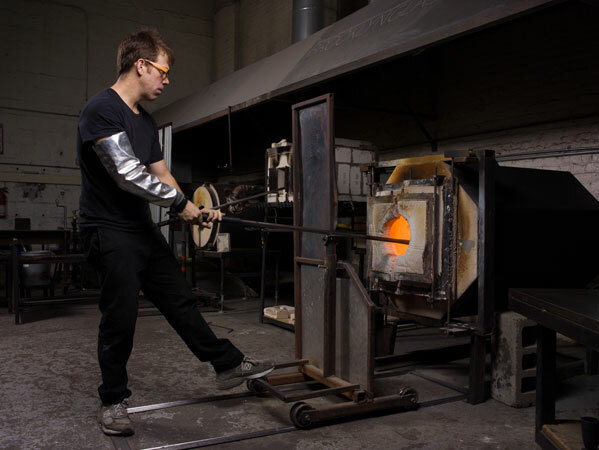 A graduate of Brown University, Jamie studied at some of the most prestigious glass schools in the country: The Pilchuck Glass School, the Rhode Island School of Design, the Penland School of Crafts, the Haystack School and the Corning Museum of Glass. 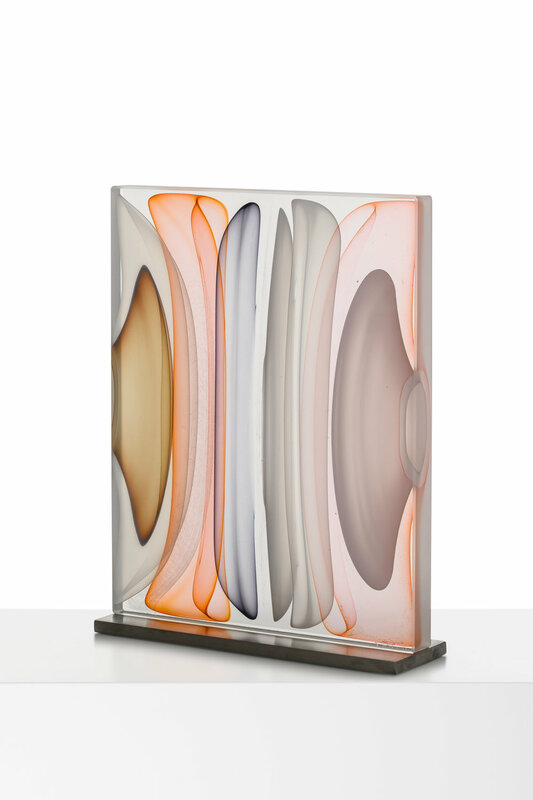 He also studied with some of the most renowned glass artists in the world, including Dante Marioni, Josiah McElheny, Benjamin Moore, Kathy Eliot and Ben Edols. 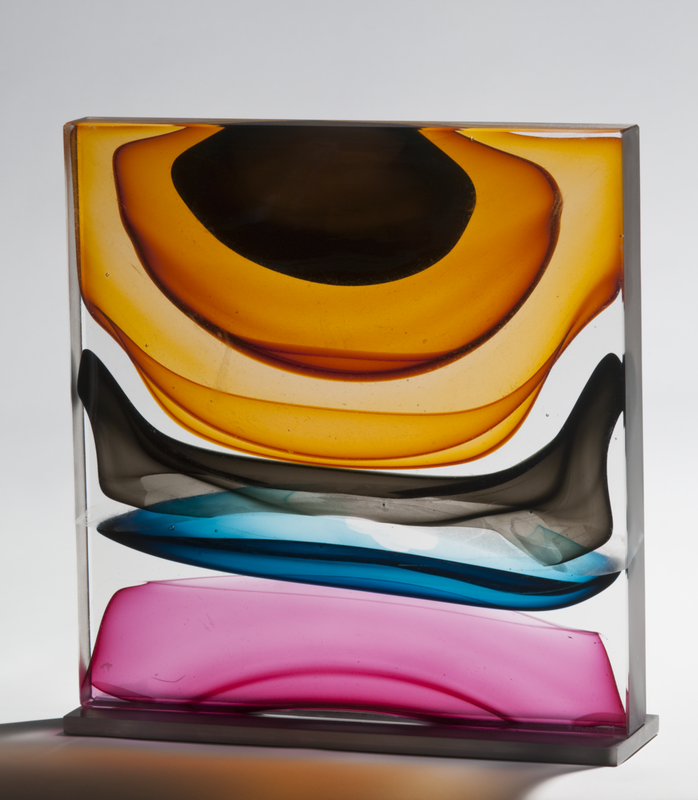 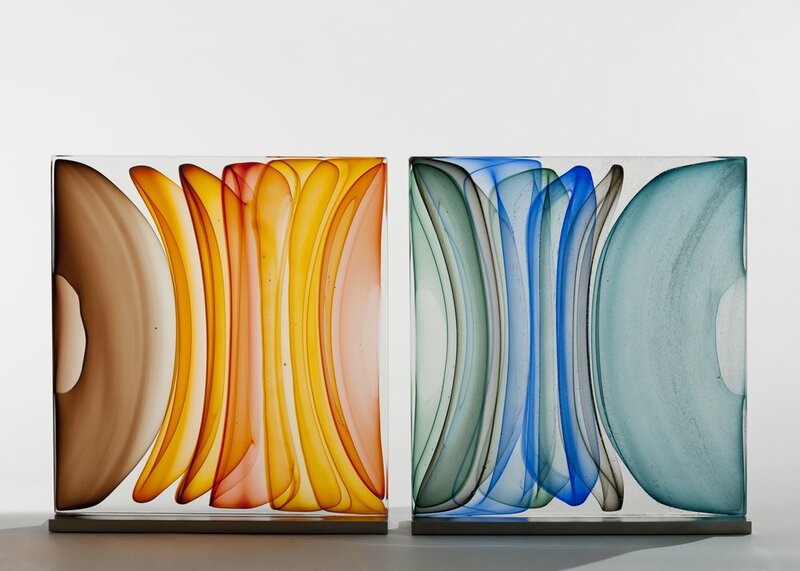 His sculptural glass work, which he describes as breaking from traditional approaches with a “painterly perspective,” uses loud splashes of color to capture glasses innate ability to transmit, reflect and absorb light. 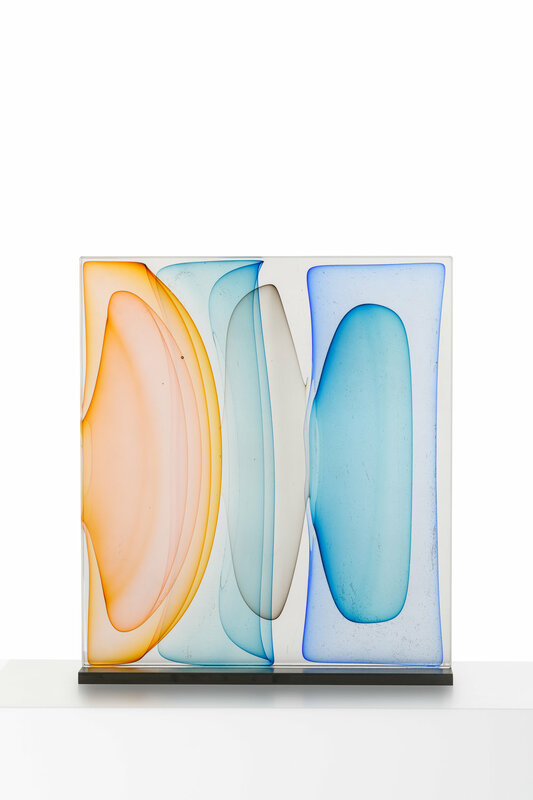 This transcends both his blown pieces, and his cast wall panels, each which share his love for color and patterning. 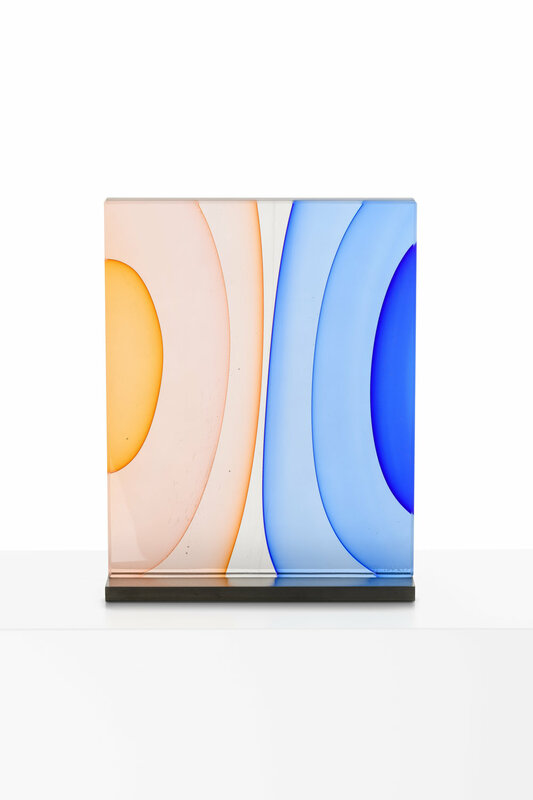 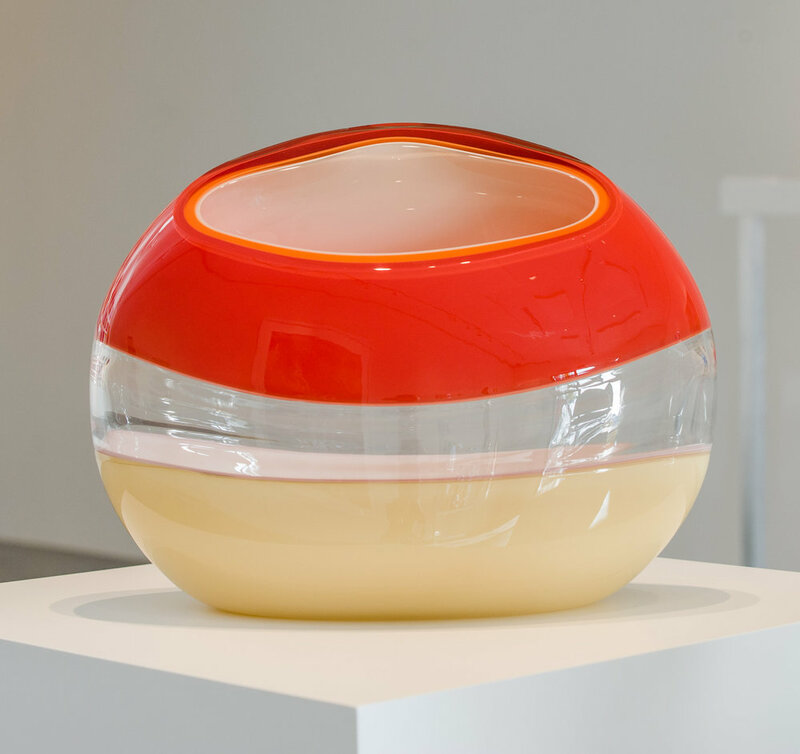 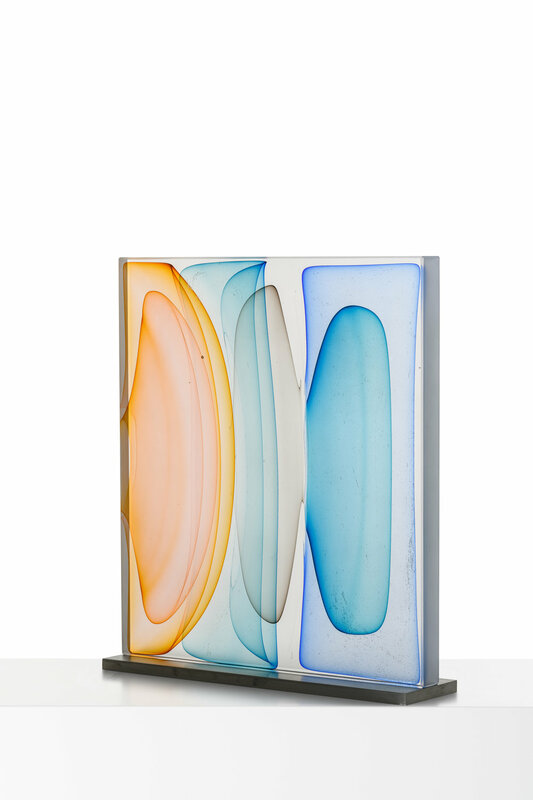 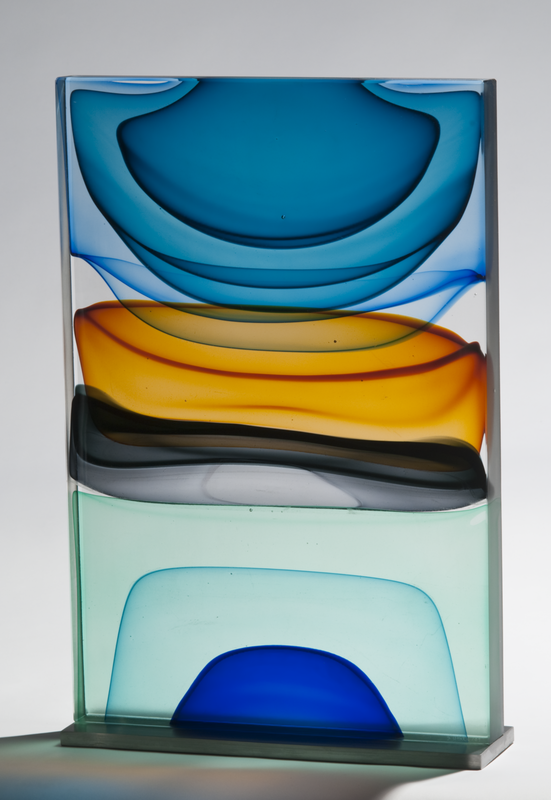 In his blown glass work, Harris merges a classic Venetian sensibility with a Modernist approach, fueled more by color theory and abstract concepts than reflections on historical glass. 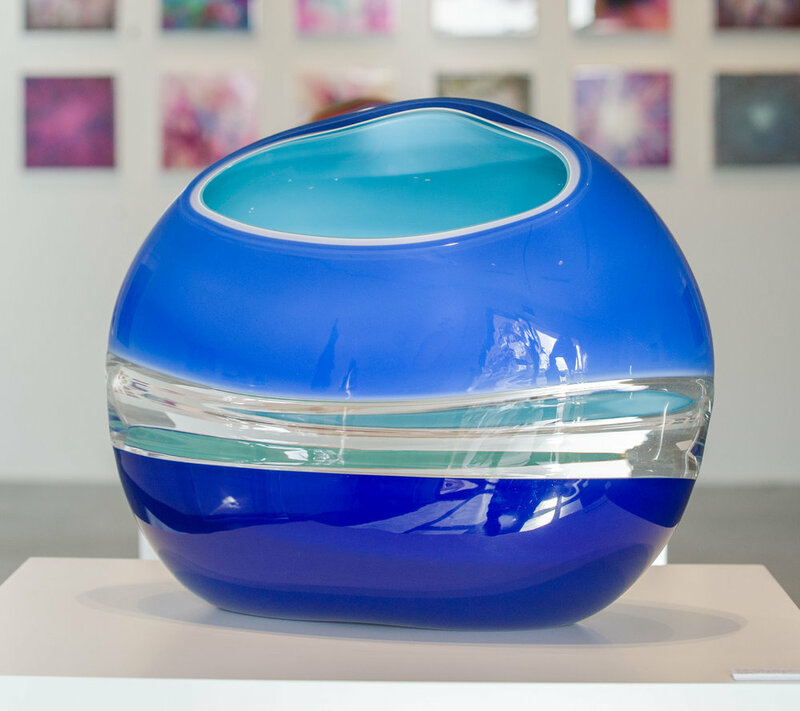 Harris also reinterprets traditional techniques, taking blown glass foundations as a method of building up form in a cast sculpture. 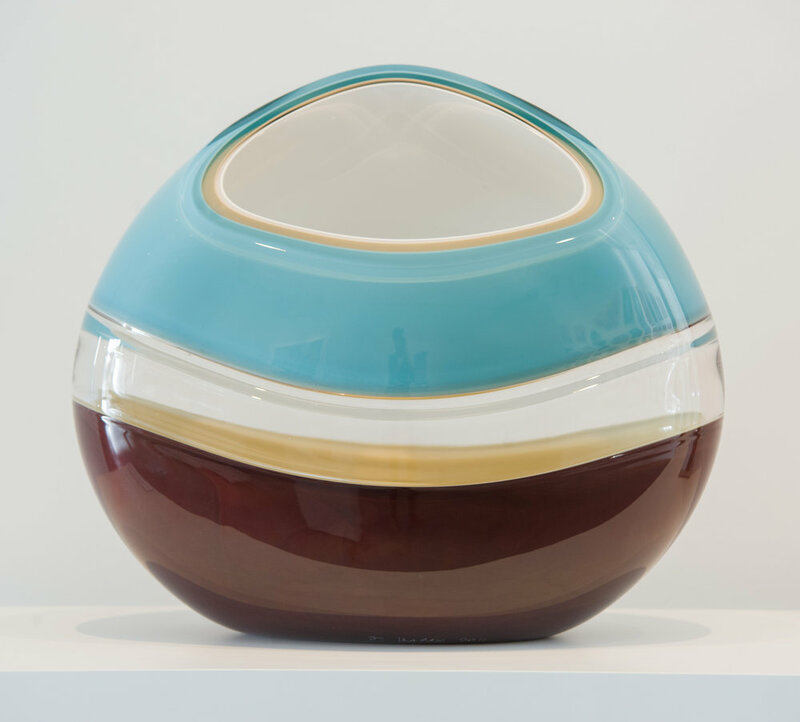 Harris has also spent many years experimenting with the Italian technique of incalmo—contrasting bubbles of glass joined together, used traditionally as vessel decoration—in different contexts as the basis for building a three-dimensional color field painting. 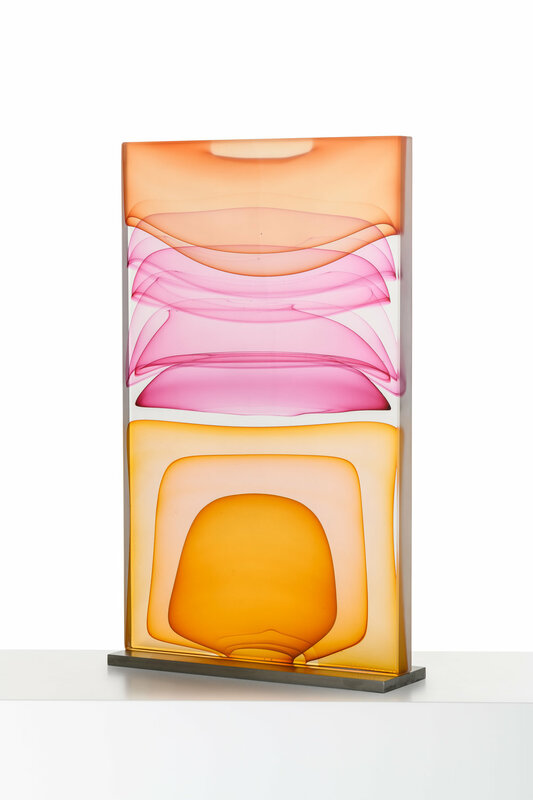 His work is an ever-changing examination of color modulation, evoking emotional responses through visual contrast.